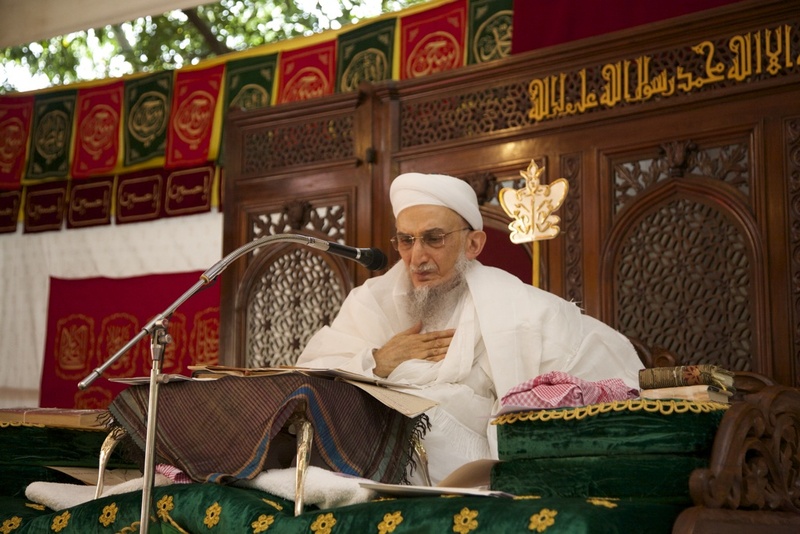 In the eighth waaz Mubarak (9th Muharram), Syedna TUS expounded on the beginning of Da’wat-ul-Haqq in this world and the Da’wat and adwaar of the 6 Naatiqs beginning with Adam AS and culminating with the 6th Naatiq, Sayyidul Mursaleen, Muhammad Rasulullah. 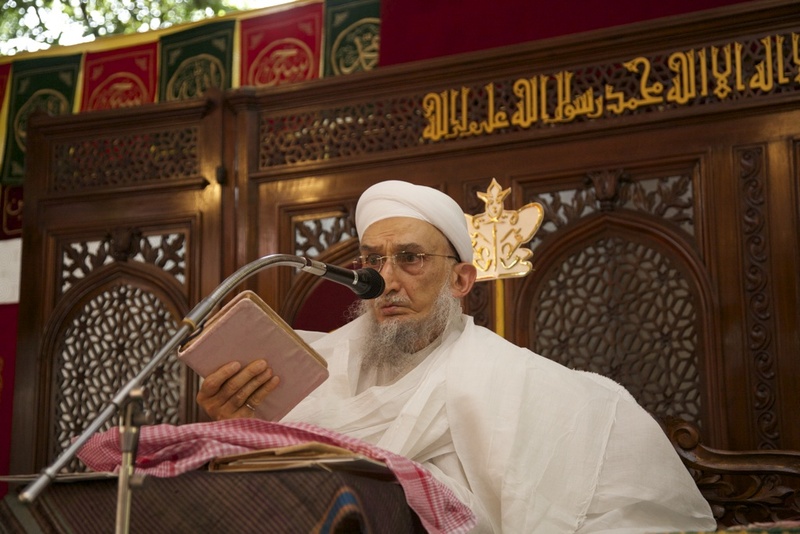 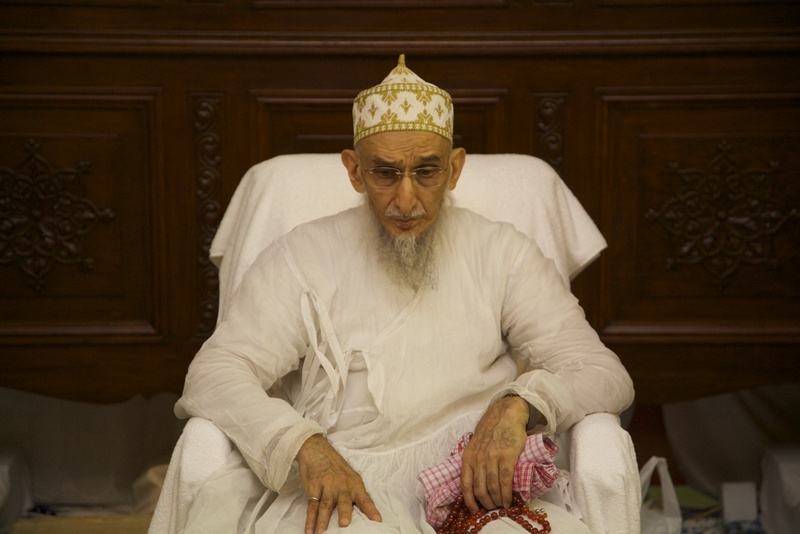 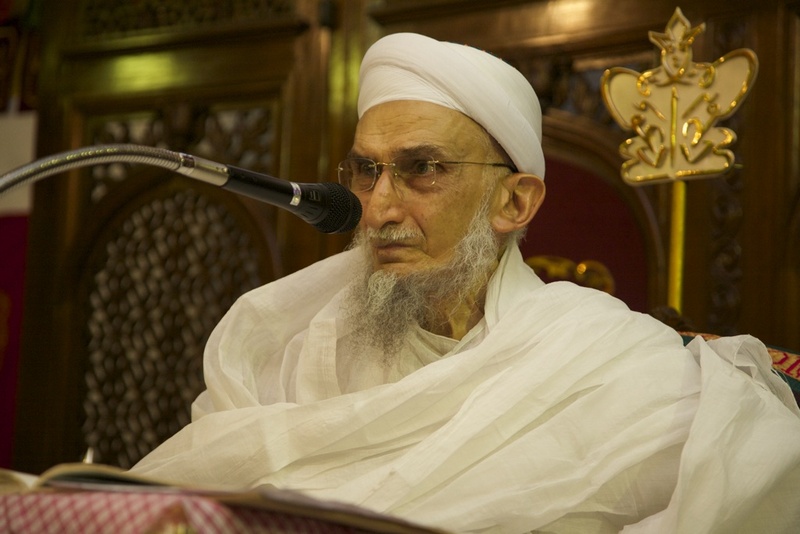 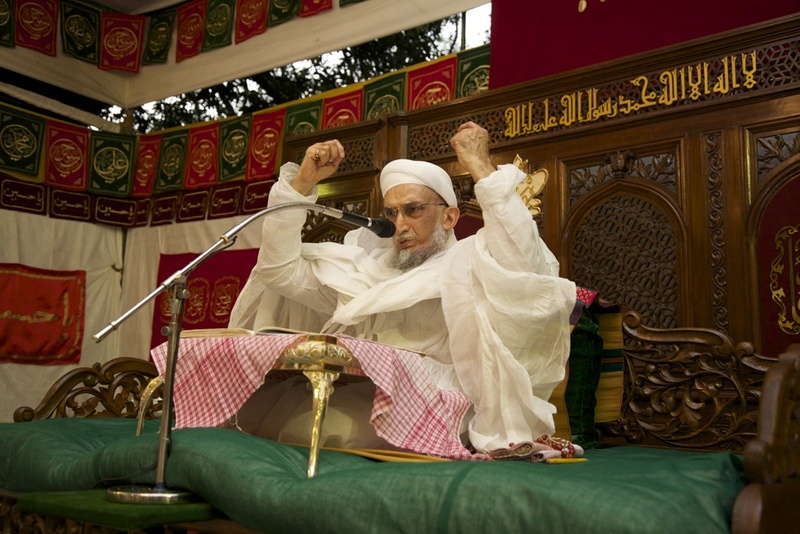 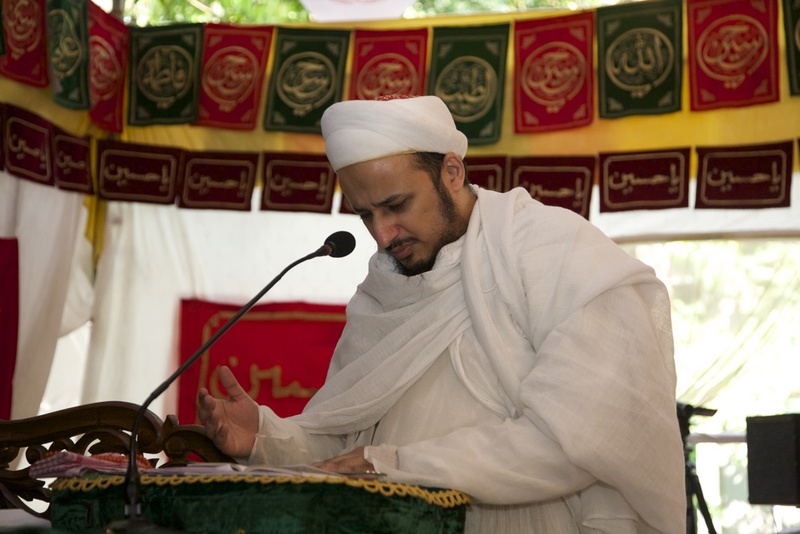 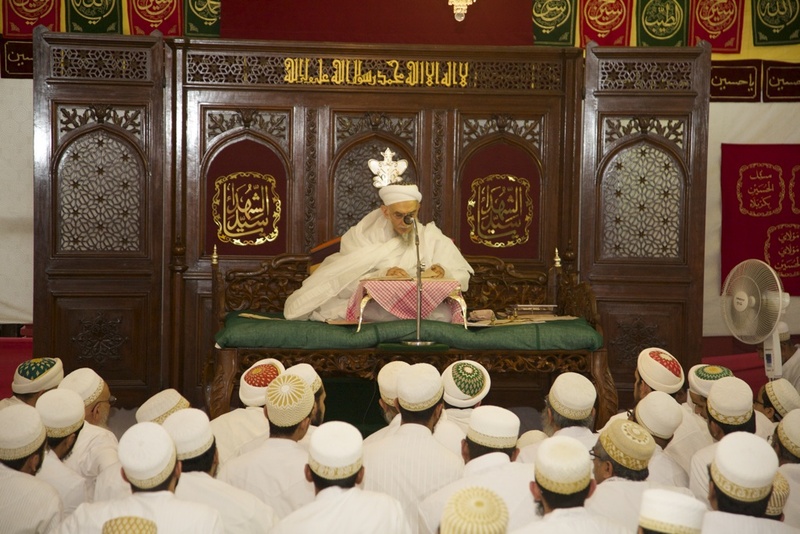 Narrating many anecdotes from the history of the anbiyaa’ Syedna stated that these Prophetic Stories (qisas) offer lessons (‘ibrat) for us today. 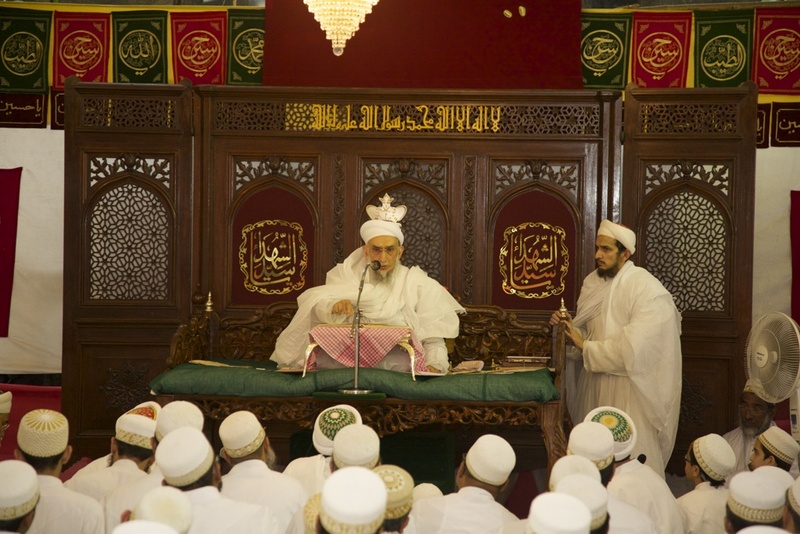 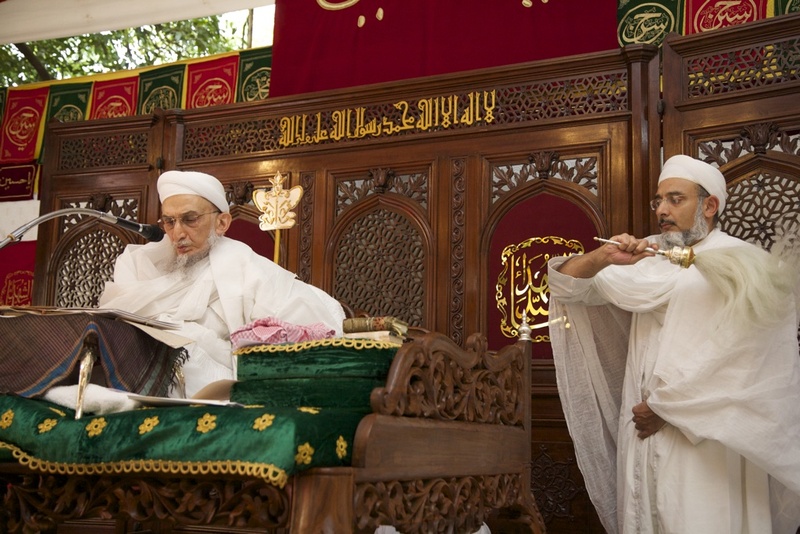 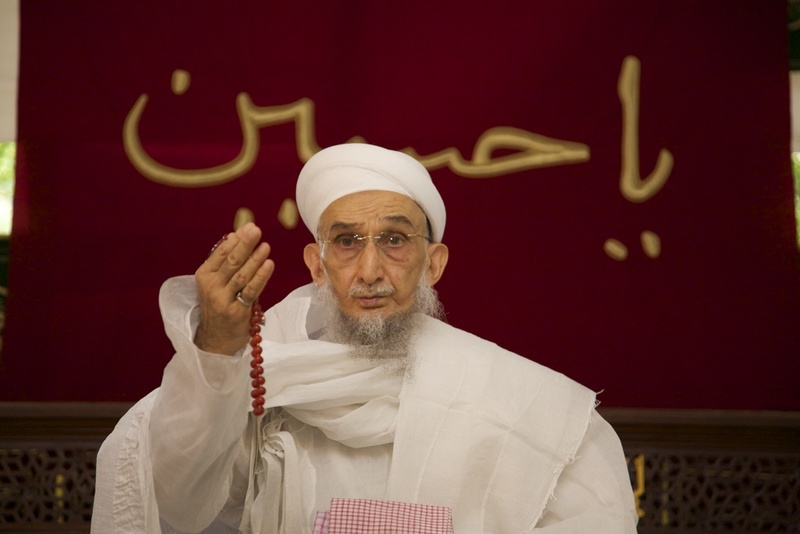 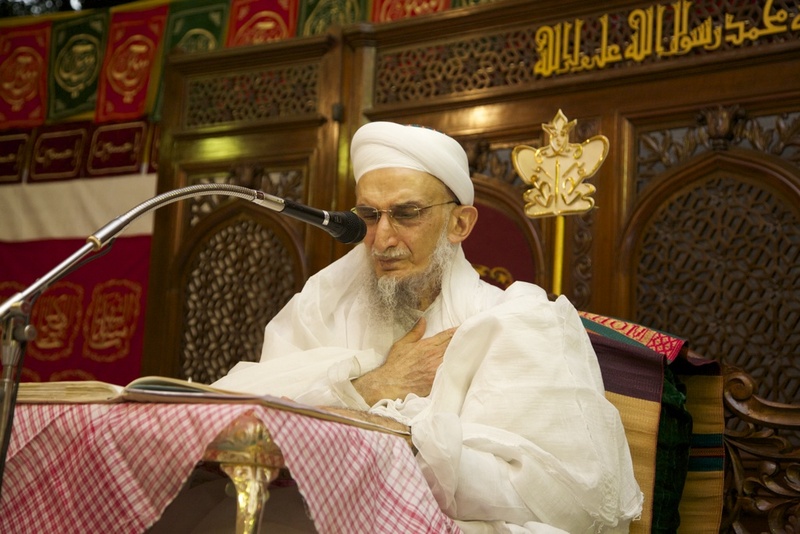 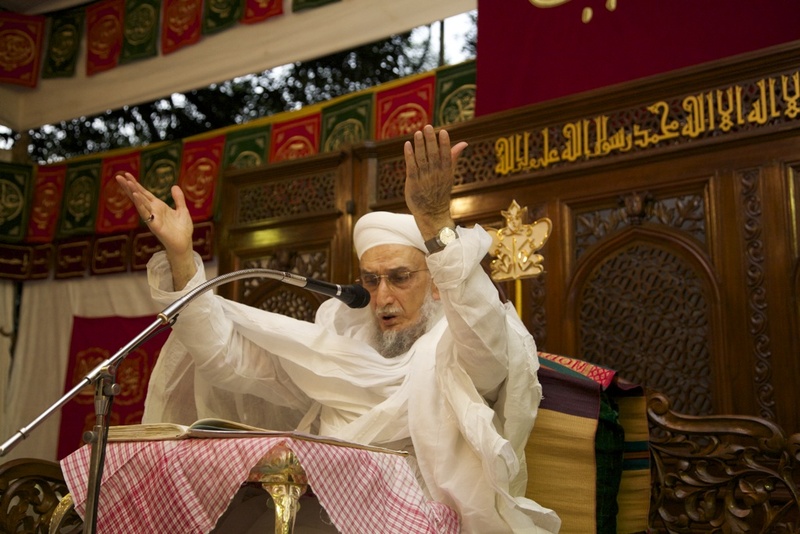 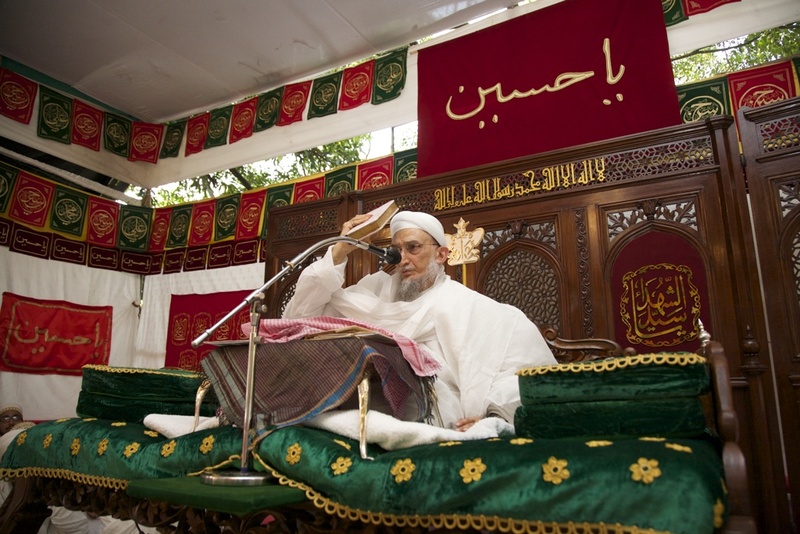 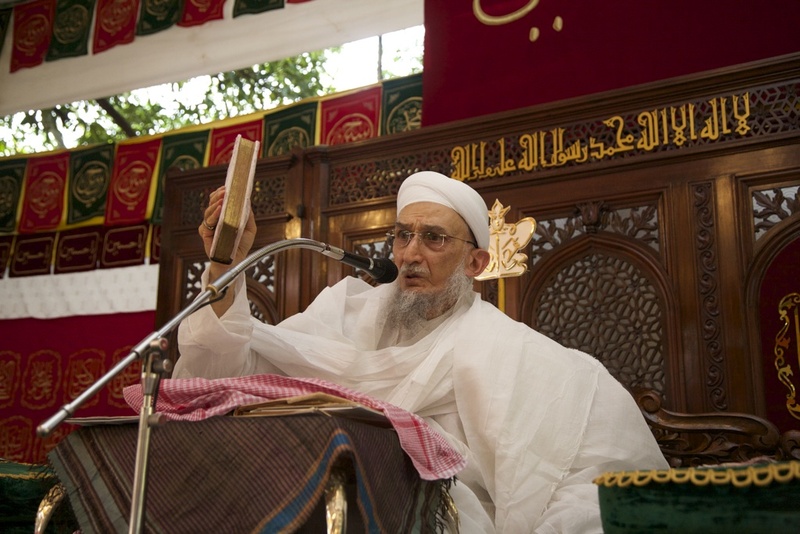 Syedna concluded by narrating the shahaadat of Abdullah son of Imam Hasan and the Shahaadat of Imam Hasan SA. 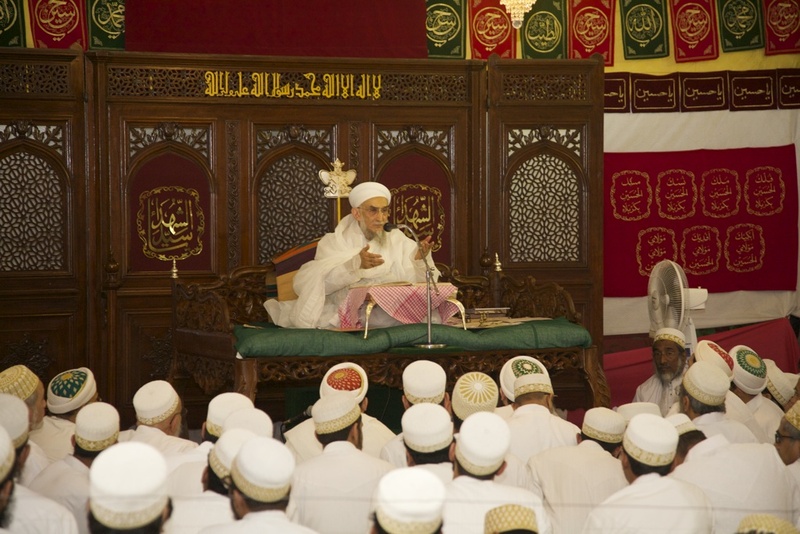 In the ninth waaz Mubarak (10th Muharram), Syedna did zikar of the immense sawaab in the ziarat of Imam Husain SA and prayed for the opportunity for ziarat in the near future. 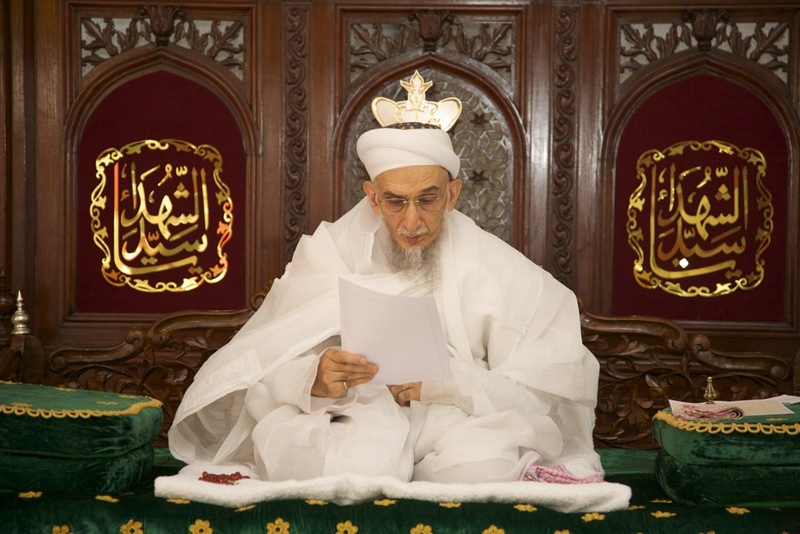 Syedna TUS also did zikar and tasbeeh of Panjetan, the 21 Imams and 52 Dai-s before him. 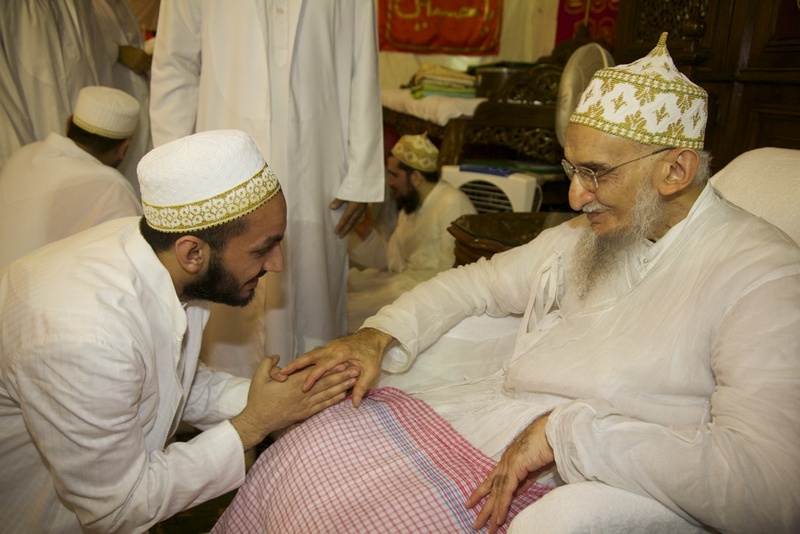 With each name and tasbeeh Syedna narrated the fazaa’il and shanaat of our awliyaa’ and hudaat, particularly their sacrifices for the sake of Dawat and the sake of Truth. 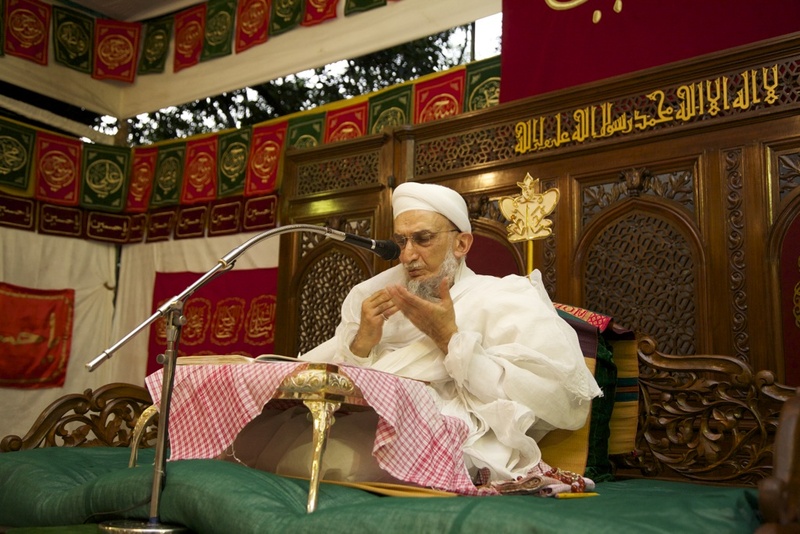 He ended the waaz by declaring – with the Quran Majeed in his hand (see Sijill 39 Article and video excerpt) that he is the 53rd Dai, the successor to all of the 52 Dais before him and that he is the recipient of their Nass, particularly the Nass of the 51st and 52nd Dais. 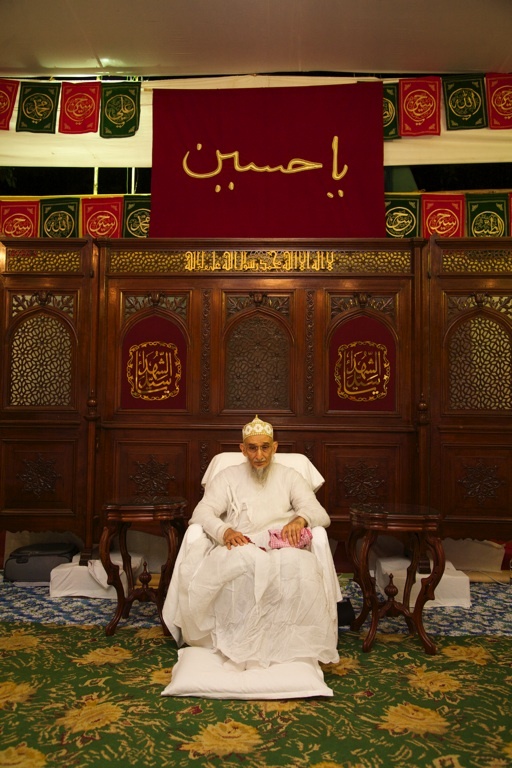 In the tenth waaz Mubarak (10th Muharram), Syedna began the waaz by taking the wasila of Imam Husain SA, his ehle bayt and ashaab and beseeching doa for all mumineen, muminaat and their children. 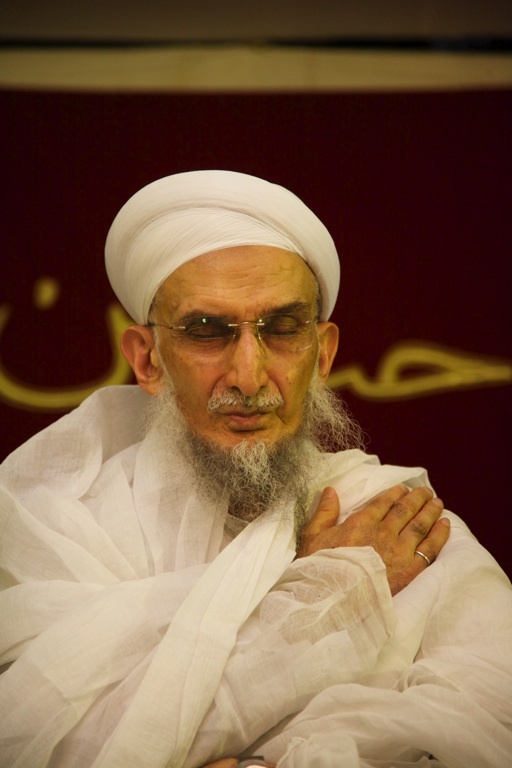 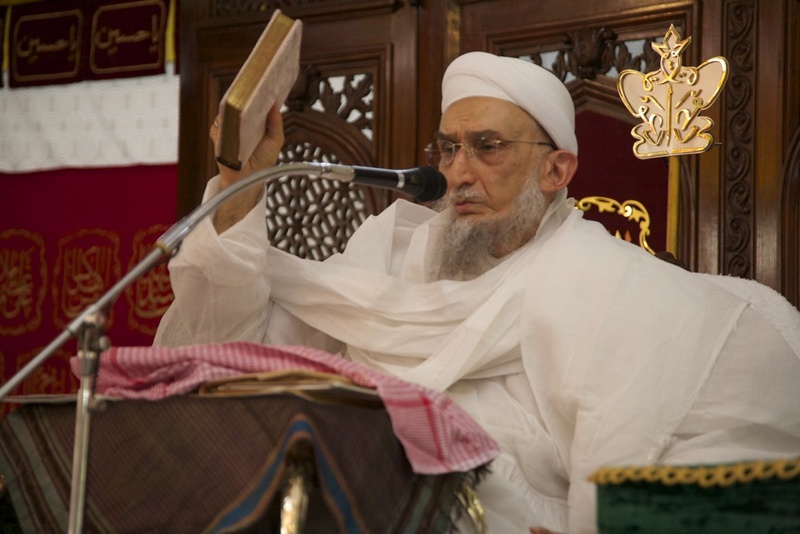 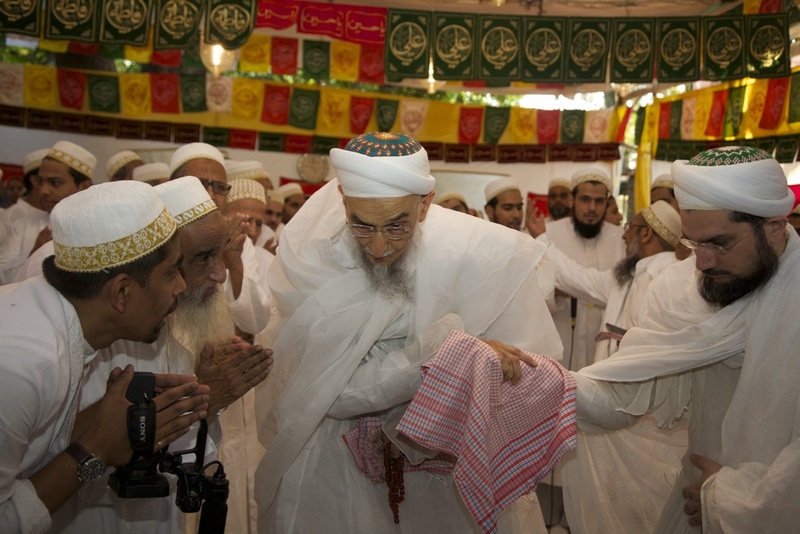 Syedna also beseeched Allah Ta’ala to grant tawfeeq and guidance to those who had gone astray so that they may return to Dawat-ul-Haqq and Dai-l-Haqq from the door of tawbah. 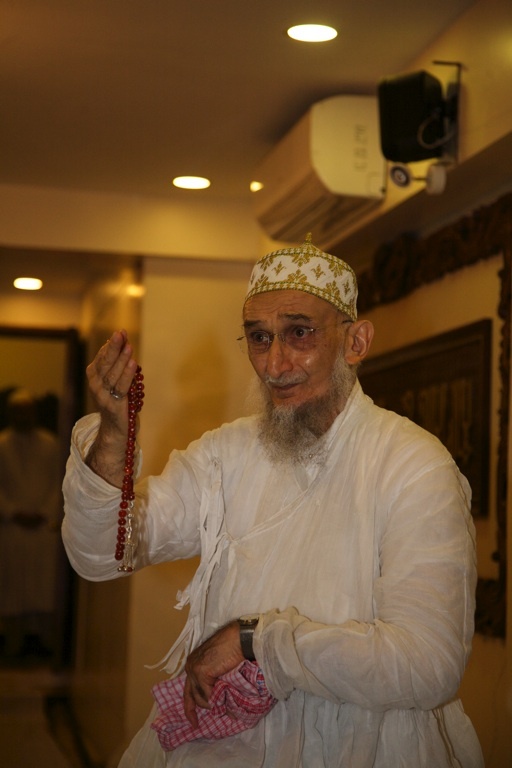 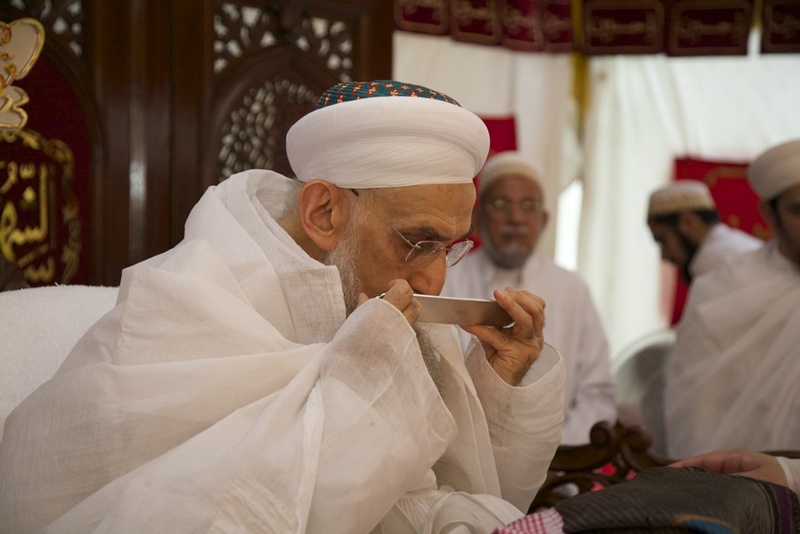 Syedna then recited a heartrending narration of the maqtal of Imam Husain, his Ehle bayt and Ashaab. 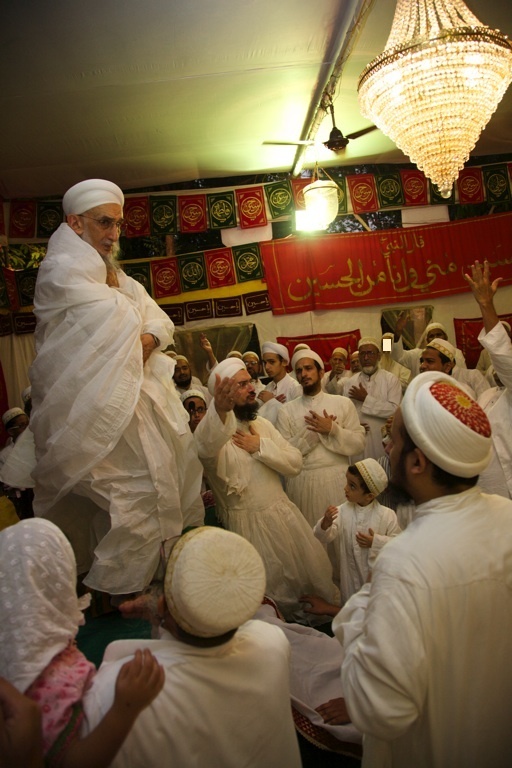 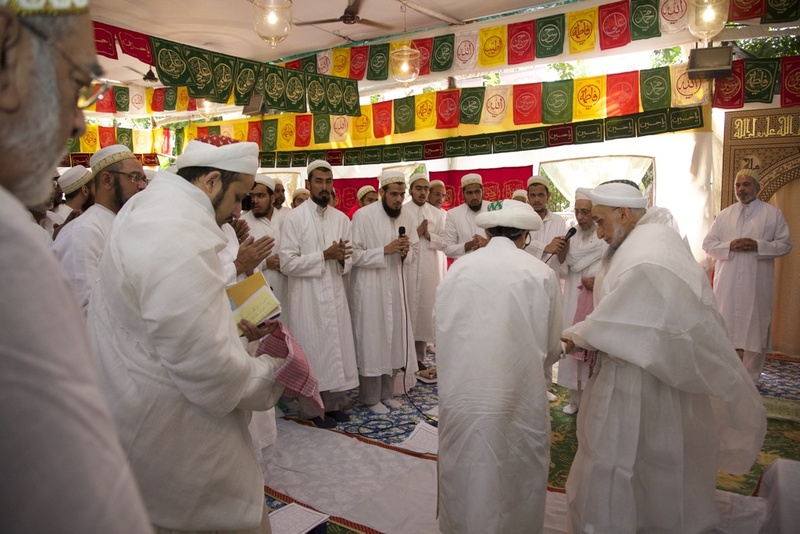 In Ashara mubaraka, Mumineen mukhliseen gathered every day for Syedna’s waaz mubarak, Husain Imam matam majlis, and niyaaz-e Husain in Darus Sakina—with Husain Imam’s zikar, and in Syedna’s saya, a true Baagh-e Iram.